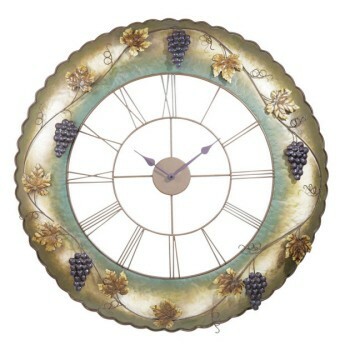 Unique wall clock with colorful grape and vine motif. Roman numerals adorn this multi finish wire clock. Measurements- 36 in. Diameter x 4 in. W. Weighs 8 lbs.